Craig Greenhill is an Australian sailing photographer and photojournalist who has travelled the world covering news and sport. His work is highly recognised and earned him several awards, including two prestigious Walkley Awards for Excellence in Journalism. Using his day job as a leg up, Greenhill grabbed an opportunity in 2007 to be trained in ocean racing. With a love of sailing since a young age, Craig’s life long dream of competing in the Sydney Hobart yacht race became the dream assignment when he documented the blue water classic from onboard a Volvo 60, pushing his career into a new direction. 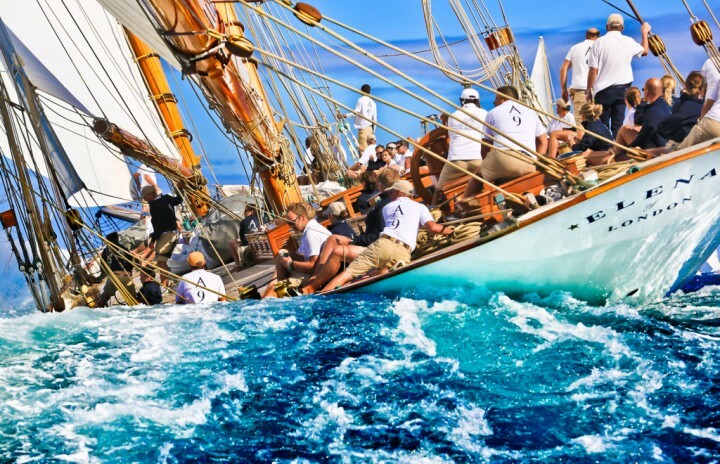 Falling in love with ocean racing, he used his camera to get onboard various yachts capturing the action on the high seas, while working the grinders during his ‘watch’. Under the brand Saltwater Images, His specialisation in sailing photography grew, developing a unique signature photographic style, documenting races and regattas around Australia and the world. Combining his love of the sea and passion for photography, Craig divides his time on the water between being a crewman on ocean racing yachts and steering his 5-meter camera boat. Having a working knowledge of racing gives Craig an advantage, predicting yacht tactics around the racetrack, allowing him get in close to the action with his camera.